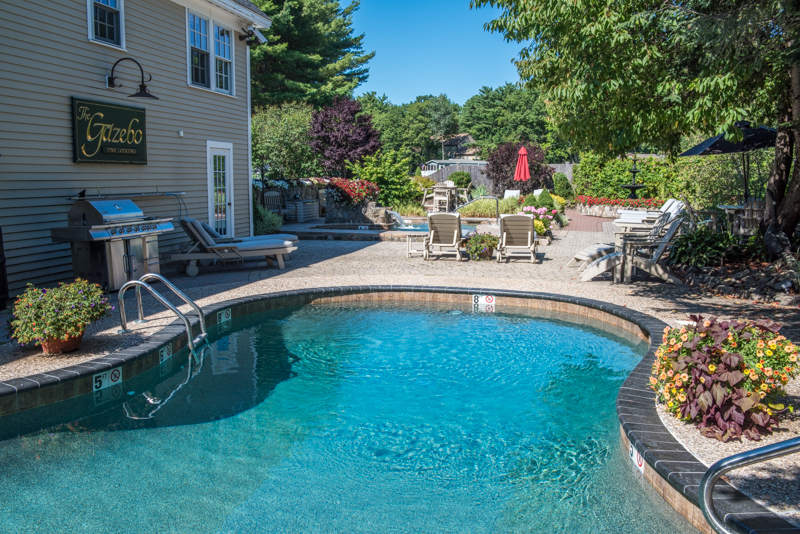 Gazebo Inn Ogunquit has a salt water pool for you to cool down on those hot summer days, to sit and enjoy a book, conversation and drinks. There is plenty of seating and lounging available for all guests on our Polywood lounge and adirondack chairs, our lounge chairs have water resistant Sunbrella cushions. We also have high top dining tables. There is no need to save chairs at the Gazebo. We heat the pool for swimming based on the weather, usually Mid June - Mid September. Salt water pools create the cleanest most sanitary swimming experience, good for the environment and better for our skin. Salinity is much lower than swimming in the ocean so you get out feeling refreshed with smooth silky skin. Going to a salt pool and hot tub contributed greatly to our Environmental Leader Award from the state of Maine and our TripAdvisor Gold Environmental Leader Award. 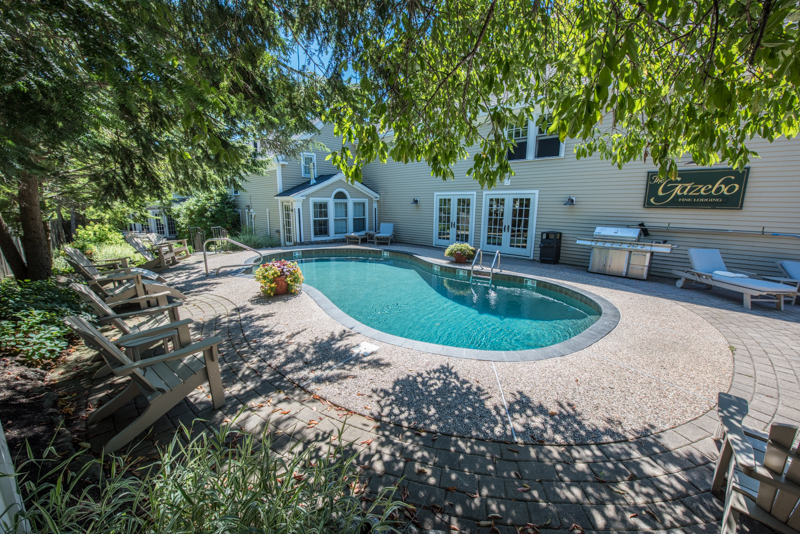 The Gazebo Inn Staff are also Certified Pool Operators by the State of Maine board of health. For pool use we have pool towels, plastic for your beverages, complimentary beverages on the bar, and we even provide sunscreens if you forgot them. 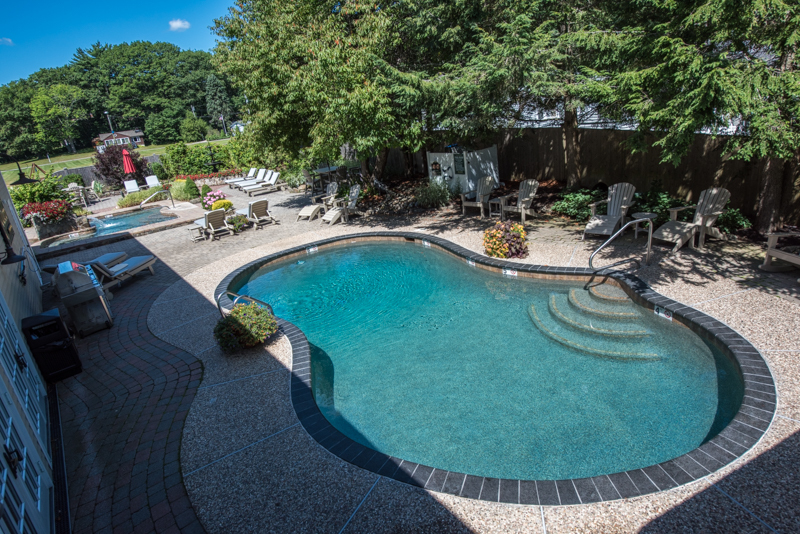 With being an adult facility this will be the quiet tranquil oasis you have been looking for.